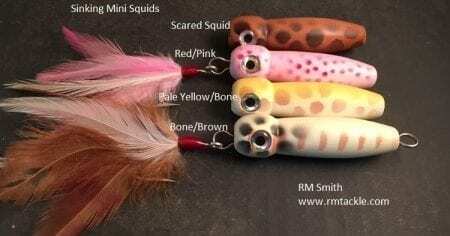 Sinking Mini Squids weigh in at approx 3/4oz – and cast very well. I suggest a steady retrieve with a little twitching action with the rod tip. These are great when the spring squid show up.